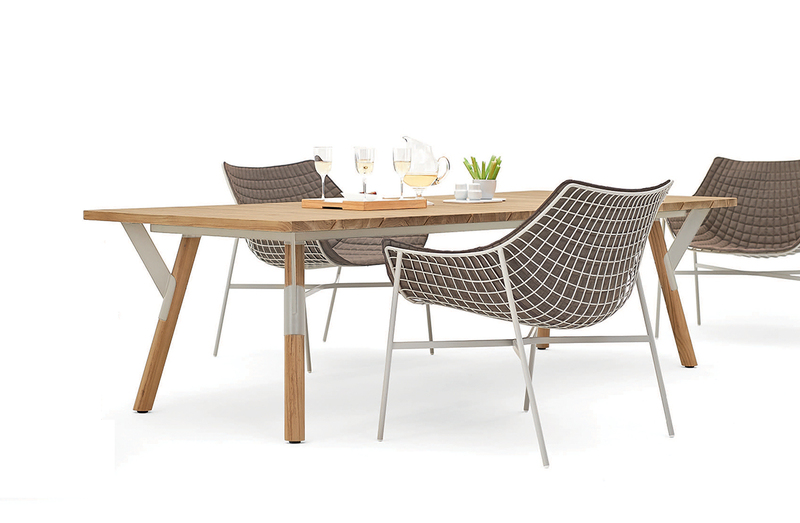 Outdoor dining table with legs in varnished stainless steel, or solid teak. Top surface in teak, or HPL. Available to order as a fixed top, or extension table. Rectangular 63" x 35.4" or 78.75" x 39.4" or 94.5" x 39.4"
Extension top: Rectangular 63" x 35.4" or 78.75" x 39.4" or 94.5" x 39.4"